Chances are you didn’t know it was the International Year of Dark Skies, but if you’re anything like us, you won’t want to ignore it. We’ve scoured the map to pick out some top dark-sky sites (and some boutique pads where you can enjoy them) for a journey into the intricate wonders of our celestial ceiling. Northern Chile’s Atacama Desert is famous for being one of the driest and emptiest places in the world. The result is a sky beautifully unimpeded by clouds or light pollution. 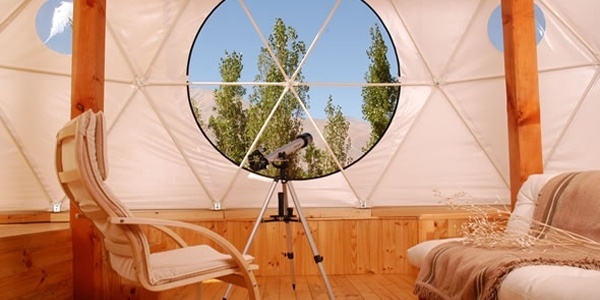 Elqui Domos is a celebration of everything astronomical: accommodation sits in geodesic domes or glass-roofed wooden houses, all equipped with their own telescope, and the hotel organizes poolside tours of the heavens. You don’t have to travel abroad for a starry encounter: Northumberland National Park has been designated a ‘Dark Sky Park’ and, at 1500 square km, it’s Europe’s largest. Frequent organised dark-sky events will introduce you to the best bits, or you can pack a flask and some sandwiches and go solo. 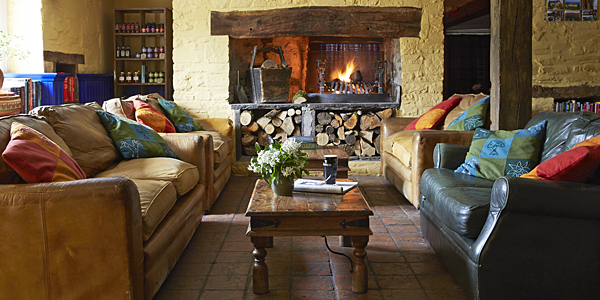 Lord Crewe Arms, an ancient, history-soaked coaching inn, sits in a beautifully remote Pennine village nearby. The NamibRand Nature Reserve isn’t just concerned with protecting what’s on the ground: its efforts at reducing light pollution have earned it a place among the gold tier of ‘Dark Sky Reserves’. The landscape is also stunning, so we suggest a hot-air balloon ride to enjoy a star’s-eye view of the wilds below. 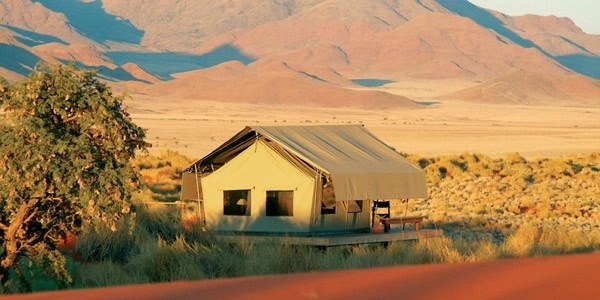 Stay at Wolwedans Dune Camp, an isolated 6-tent camp set against a high sand dune, with heart-stopping desert and mountain views. It may not be the first place that pops into mind for stellar adventures, but the skies that first drew Galileo’s eye in the 17th century are still rich with wonderful displays; be sure to catch a glimpse of Jupiter’s 4 Galilean Moons, named after the man himself. 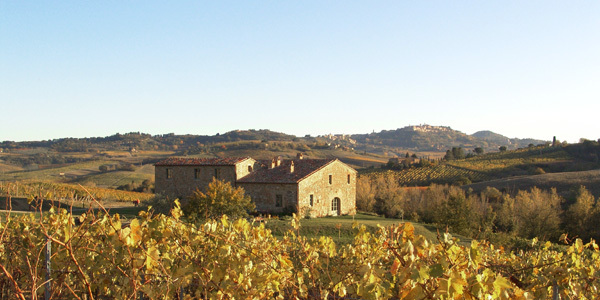 Follonico, a very special B&B with quirky rooms and delightful owners, makes a perfect rural base. Thanks to their isolation and lack of pollution, islands offer some particularly spectacular sky viewing – and pristine Kangaroo Island off the coast of mainland Australia is no exception. 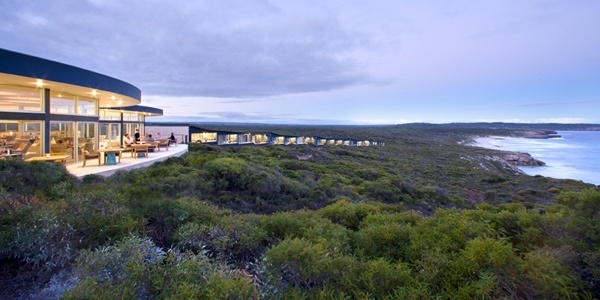 We’re particularly fond of the stargazing platform at Southern Ocean Lodge, a fabulous low-rise eco resort and spa, which offers a chance to marvel at the Southern Cross and the magical constellations of the Milky Way. Iceland is famous for its grand displays of the Northern Lights, but its minimal light pollution also makes for excellent stargazing. 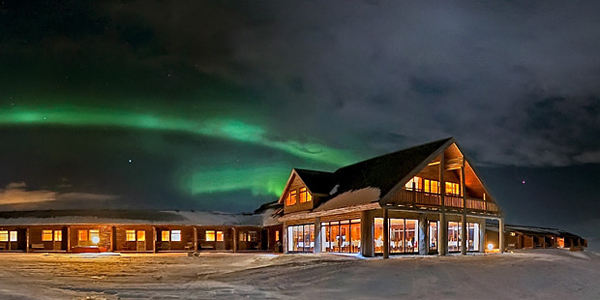 Beautiful Hotel Ranga has recently added an astronomical observatory with a roll-off roof and computerized telescopes to kick off your dark-sky adventure. In summer, when the days are longer, you can make use of the solar telescope to observe sun spots and flares. The Brecon Beacons was the first designated ‘Dark Sky Reserve’ in Wales (and the fifth in the world), meaning that the views are as spectacular by night as they are by day. 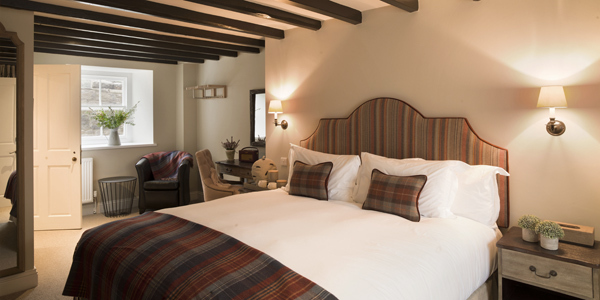 The lack of light pollution is a point of local pride, and the benefits are resplendent for all to see – appreciate them from The Felin Fach Griffin, an award-winning country pub with great food, lots of character and 7 comfortable rooms. The skies of northwestern Costa Rica offer the chance to spot the Magellanic Clouds: two clustered galaxies which glow like bright bruises in the sky (that’s if you can pull your eyes away from the impressive lava rivers flowing from the Arenal Volcano, of course!). 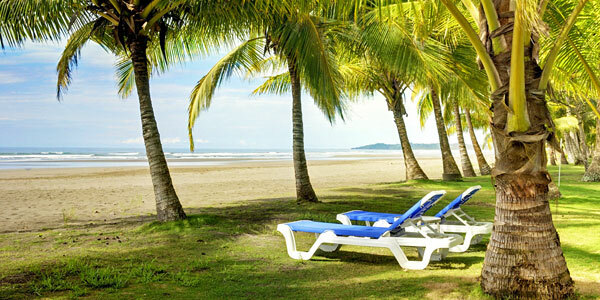 Alma del Pacifico, a comfortable and colourful villa and spa resort on a seemingly endless stretch of Pacific beach, makes an excellent base. A secluded location off the coast of Africa, combined with high peaks that soar above any star-distorting atmospheric turbulence, mean the Canary Islands are an ideal spot for some dark-sky exploration. Your best bet for a cosmic display is the Caldera de Taburiente National Park on La Palma, which already hosts a number of observatories. 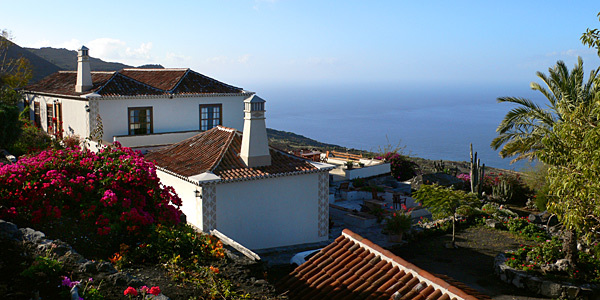 Stay at Casa Los Geranios, a traditional Canarian house for 2-8 in the island’s sunny south, with gob-stopping views over volcanoes to the shimmering Atlantic. The vast open moorland of Dartmoor is perfect for celestial adventures: with only a sprinkling of towns and villages, you don’t have to travel far to escape the interruption of light. 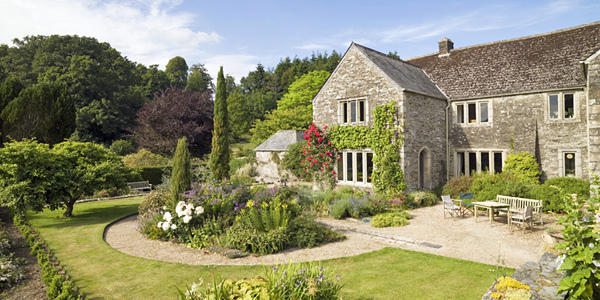 Cider House, an indulgent B&B in the prize-winning grounds of historic Buckland Abbey, is a wonderful place to stay on the edge of the National Park.